Wednesday the Supreme Court heard oral arguments in Fisher v. the University of Texas at Austin, a case challenging the right of state universities to use race-based affirmative action in their admissions policies. 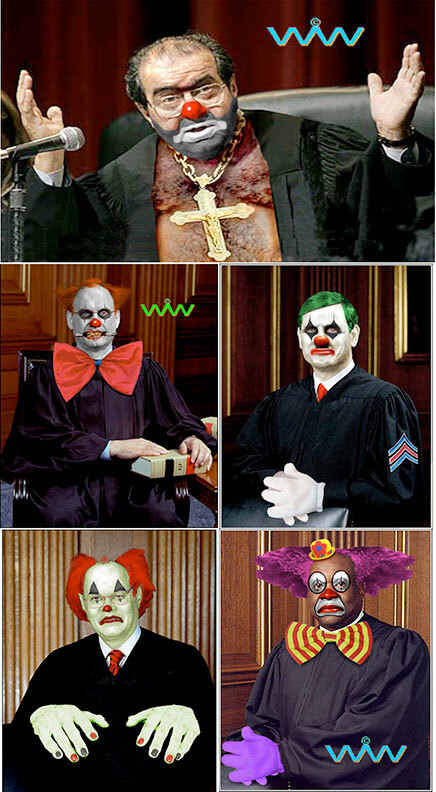 The most right-wing of the Justices, Antonin Scalia-- who will be 80 in March and has increasingly been having episodes of senility-- launched into a racist rant that was more in line with certain thinking back in the 1930s when he was growing up. "There are those who contend," he asserted, "that it does not benefit African­ Americans to get them into the University of Texas where they do not do well, as opposed to having them go to a less­-advanced school, a slower-­track school where they do well. One of the briefs pointed out that most of the black scientists in this country don't come from schools like the University of Texas... [but from] lesser schools where they do not feel that they're being pushed ahead in classes that are­­ too fast for them." Later he added that "I'm just not impressed by the fact that ­­ that the University of Texas may have fewer [minority students] Maybe it ought to have fewer." Below is the fill text of the letter she sent Scalia. If you'd like to help her grassroots Senate campaign, please consider making a contribution here. I am writing to you regarding the remarks you made earlier today while hearing the Fisher v. University of Texas at Austin case. You are reported to have said that “most of the black scientists in this country do not come from the most advanced schools” and benefited from a “slower track.” To say that I am greatly disappointed in your uninformed comments is a gross understatement. I found them offensive, completely unacceptable, and believe they have no place in our legal discourse. As someone who toured Maryland’s Historically Black Colleges and Universities (HBCU) in March 2014, I invite you to accompany me to Bowie State University, Coppin State University, Morgan State University, and the University of Maryland-Eastern Shore. Seeing their facilities in the Science, Technology, Engineering, and Mathematics (STEM) fields and talking with their leaders, faculty, and students first-hand, I know you will gain insight and see how they are producing highly qualified graduates needed to help maintain America’s national security and technological competitiveness in an ever-changing 21st Century economy. For example, Dr. David Wilson is the 12th president of Morgan State University and has more than 30 years of experience in higher education administration. Dr. Wilson holds four academic degrees: a B.S. in political science and an M.S. in education from Tuskegee University; an Ed.M. in educational planning and administration from Harvard University and an Ed.D. in administration, planning, and social policy, also from Harvard. He came to Morgan State from the University of Wisconsin, where he was chancellor of both University of Wisconsin Colleges and the University of Wisconsin–Extension. Morgan State’s many recent highlights include procurement of the university’s largest-ever research contract, a $28.5-million, five-year contract from NASA; inclusion of Morgan State as one of the recipients of a $129-million energy innovation research grant to Pennsylvania State University; the launch of an aggressive initiative to maintain excellence in customer service and improve the information technology infrastructure on campus; new construction on campus valued at $234 million; signing of articulation agreements with several two-year colleges, bringing Morgan State bachelor’s degrees to their campuses; approval of Morgan State’s first off campus baccalaureate program by the State of Maryland; establishment of Morgan State’s first online degree program; a significant expansion of study abroad opportunities for Morgan State students and the continuation of Morgan State’s tradition of producing Fulbright Scholars. I would suggest that the HBCU's are precisely what Scalia was talking about when he claimed that "that most of the black scientists in this country don't come from schools like the University of Texas." Scalia is no more than a brown skidmark on the history of the SCOTUS but Ms Edwards's response, unfortunately, failed to address his offensive comments. 2) then point out that even IF "those who contend" are correct, then the reason is NOT affirmative action admission policies of universities but, rather, the chronically inferior primary/secondary schooling available to black young people. 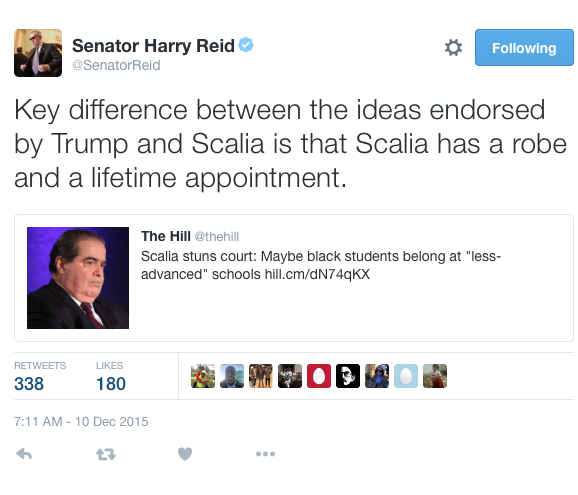 Scalia would benefit from looking at the education and career of Justice Thurgood Marshall, like Congresswoman Edwards, a Marylander and twice the legal mind Scalia ever will be. Marshall attended HBU's Lincoln University in Pennsylvania, and Howard University Law School in DC, because the University of Maryland Law School was closed to African-Americans at the time. Marshall's arguments in Brown v. Board and a host of other cases were both creative and successful in overcoming hundreds of years of defective American legal reasoning. Scalia needs to wake up to the simple truth Martin Luther King expressed many years ago: it is not the color of our skin but the content of our characters that counts. Scalia has demonstrated again the low order of his own character.